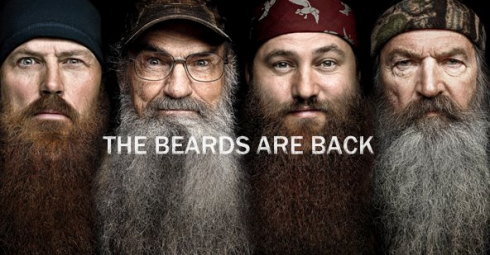 In case you haven’t noticed, the men of Duck Dynasty‘s Robertson family have beards. 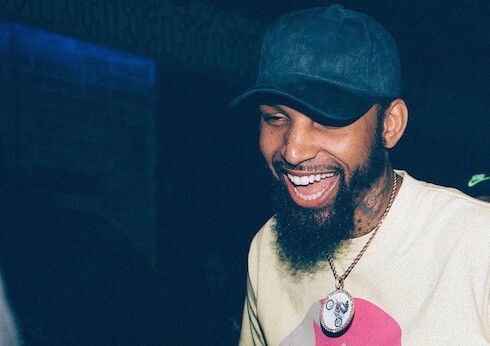 Wild and bushy beards with big personalities. In the same way that, say Woody Allen made New York City a character in Manhattan, Duck Dynasty seems to consider those beards members of the cast. Case in point: the first promotional spot for the new season features brother Jase’s beard using a cell phone. Just sayin’. But, if you can draw your eye away from those scene stealing beards, you might just catch a glimpse of one of the Robertsons. They have faces! 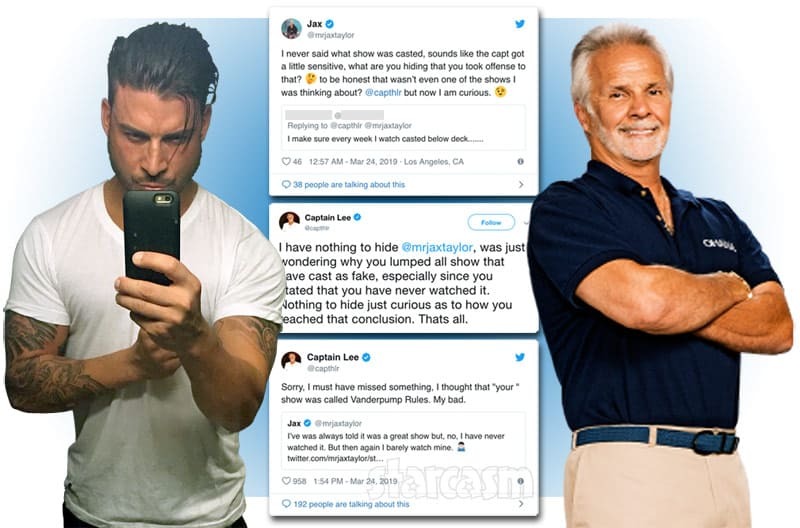 Handsome faces, as a matter of fact, and we here at Starcasm think they should get their own moment in the spotlight now and then. So, recently, we brought you some great photos of young, fresh-faced Willie and clean-shaven family man, Jase. But,now, there’s more! 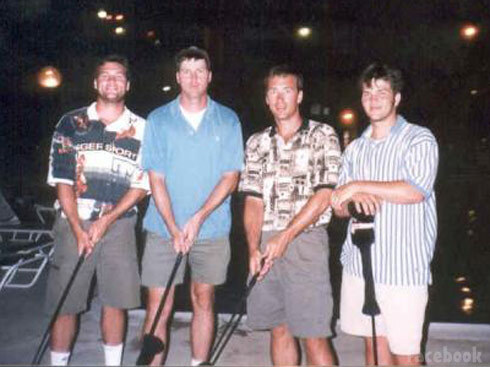 In addition to giving you another look at Willie and Jase’s dimples, this photo brings you all four Robertson brothers . . . together . . and young!. Die hard fans of the show (or the Duck Commander/Buck Commander dynasty) may recognize younger brother “Jep” (Short for Jeptha.) He made a few appearances during the first season, and we’re told we’ll see some more of him in Season Two. Jep is more comfortable behind the camera, though. He’s responsible for slogging a camera around and getting some of the amazing footage that made the Duckmen videos popular long before Duck Dynasty brought the Robertson family to cable TV fame. The youngest son of Phil and Kay Robertson, Jules Jeptha “Jep” Robertson, grew up in the duck blind. Utilizing these years of experience for his role as the cameraman and editor for the family business, Jep is able to think like a hunter behind the camera and therefore, capture excellent footage for the Duckmen DVD series and the television show, Benelli Presents Duck Commander. Jep continues with the goal his father began years ago, to bring the “Duckmen style” of hunting out of the swamps, into the editing room, and into the homes of duck hunting enthusiasts around the world. 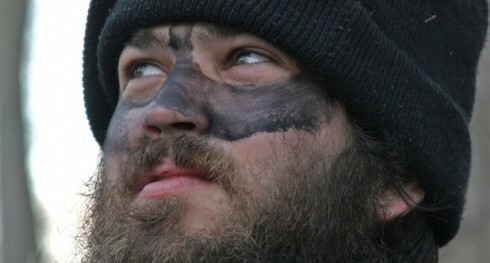 Jep’s passion for capturing the hunt on camera was stoked when he made his filming debut in “Duckmen X”, and it remains his favorite Duckmen DVD to date. Jep resides in Louisiana with his wife Jessica and four children, Lily, Merritt, Priscilla, and River. And on the biblical principle of the first shall be last, brother number four, who hasn’t been on the show yet, is actually eldest brother, Alan, who is the only one of the four who doesn’t work full-time for the family business. 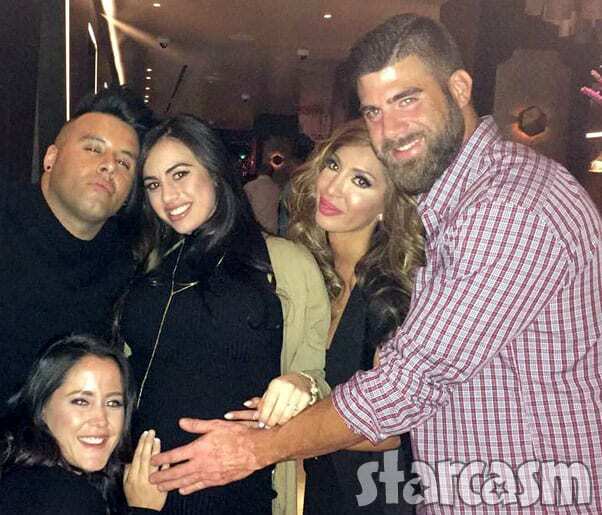 He’s also the only one who still doesn’t sport a beard. (Coincidence?) We’re told that we didn’t see him during Season One because he was busy serving his church as a full time Pastor, but I have to wonder if it doesn’t have something to do with those clean-shaven, un-Robertson cheeks! Doesn’t help the family image, really, does it? Rumor has it that that Alan might be making an appearance in Season Two. Bearded or not, here he comes! And here’s another, more recent photo of all four brothers plus Father Phil and some of the folks involved in the production of the Duck Commander videos. 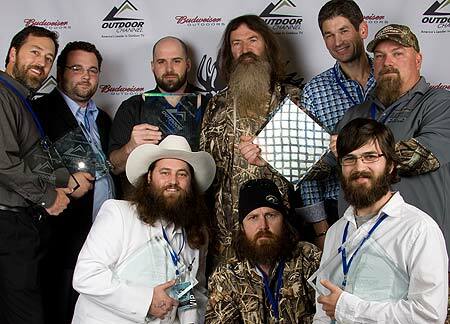 They’re accepting a Golden Moose award from the Outdoor Channel for Best Bird Hunting video (congrats, guys! ), but that’s not the big news. Check out Alan on the far left . . . and his little beard! There might be hope for that boy after all. 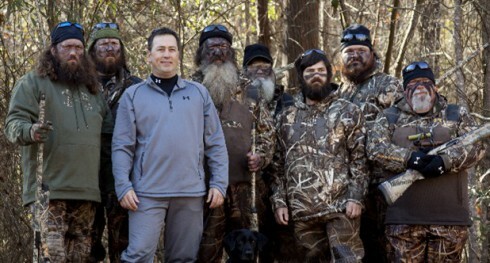 Duck Dynasty Season 2 premieres on A&E Wednesday, October 10 at 10/9c. Oh, and be sure to check out Korie and Willie Robertson’s new book Duck Commander Family: How Faith, Family, and Ducks Built a Dynasty!